Are you headed to an upcoming Spartan Football game on the road? Registration is now open for the Stanford, San Diego State and Navy games. Non-alcoholic beverages and snacks are available for everyone, a barbecue will be available for purchase ($15) and there will be a cash bar. Register to attend. $12 for Alumni Association/Spartan Foundation members with advance registration, $15 for all other guests (children 12 and under are free). Entry, lunch and non-alcoholic beverages included. Menu includes tacos with all the trimmings, vegetarian quesadillas, rice, beans, salsas, chips and dessert. $15 for all attendees on the day of the event. Sign up now! $12 for Alumni Association/Spartan Foundation members with advance registration, $15 for all other guests (children 12 and under are free). Entry, lunch and non-alcoholic beverages included. Menu includes caesar salad, sliced grilled chicken, pulled barbecue beef brisket, macaroni and cheese, house made potato chips and dessert. $15 for all attendees on the day of the event. Sign up now! Get set to cheer on the Spartans on Aug. 31 at Stanford! 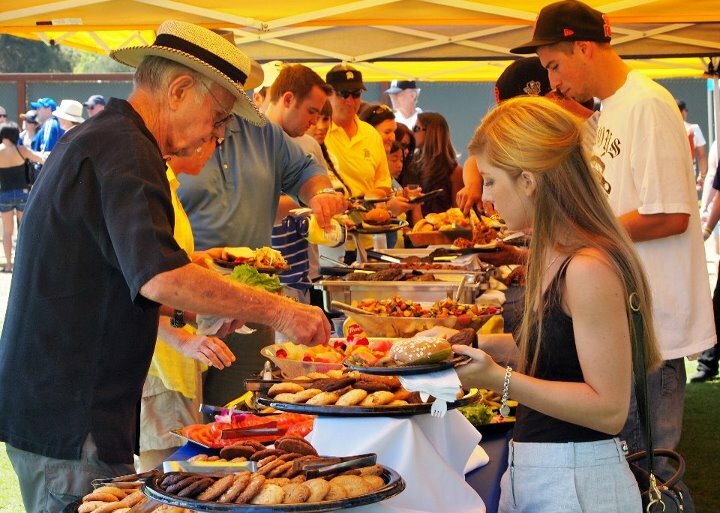 The SJSU Alumni Association will help you get your game day started with complimentary snacks, soda and bottled water. 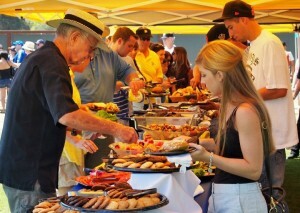 Plus there’s a full barbecue dinner for purchase ($15/per person) and cash bar available. Your RSVP assists with planning the event. Festivities begin at 4 p.m., the marching band and cheer team will stop in and it’s an easy walk to the stadium. Please note: the liquor license for this event does not permit “bring your own” alcohol. All alcohol consumed at the event must be purchased through the caterer. 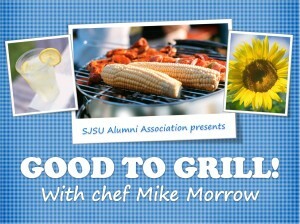 If you’re looking for the SJSU Alumni Association, you’ve found the right (albeit temporary) place! Thanks for your patience while our web site undergoes some major maintenance. Comments Off on Pardon our dust! Get ready for tailgate season and enjoy this hands on cooking class by Spartan Shops’ own chef, Mike Morrow. Mike will prepare a delicous meal from appetizer to dessert that is sure to please your palate! Try out the techniques and take the recipes home! Dinner is included. Order tickets now! $25 for Alumni Association members, $30 for non-members.